The easiest way to show your support and recognition of Breast Cancer Awareness Month – which is every October – is by turning pink. You can put on a pink tee shirt, pink shoes or bake up some pink goodies to share. Obviously, I tend to go for the last option. Here are six pink desserts to help you “think pink” for Breast Cancer Awareness Month, whether you’re celebrating at home or out at an event with friends. Pink Lemonade Cake has a soft pink color and a bright lemon flavor. It’s a chiffon cake, with a feather-light texture that comes from beaten egg whites folded into the batter. The cake is one of my favorites in the springtime, but its color makes it a perfect choice for October events. Pink Lemonade Cupcakes have a similar flavor profile to the cake above, but a completely different texture. They’re moist and much more buttery, with a bright lemon buttercream frosting – also dyed with pink food coloring – to finish them off. Strawberry Chiffon Cake has a pink color that is all natural, thanks to the generous amount of fresh strawberries that go into it. As a result, the pink color is a little more subtle than the cakes that use food coloring, but you can really tell where that flavor comes from because you get a great strawberry flavor in every bite. 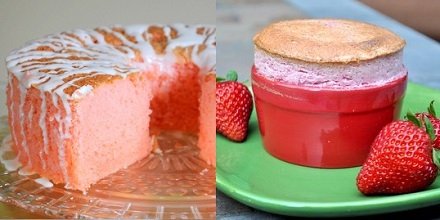 Fresh Strawberry Souffles are a more elegant pink dessert to serve up in October. Like the cake above, their coloring is completely natural! The souffles are also fat free and gluten free, so just about everyone should be able to indulge in them – and they’re much easier to make than you might think! 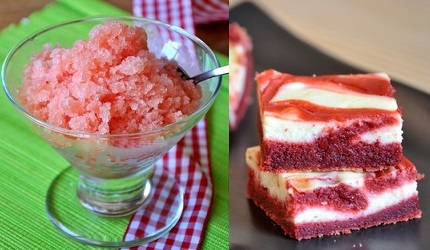 Watermelon Granita is another perfectly pink dessert that features all natural colors. Watermelons are quickly going out of season this time of year, but in my area we had a warm summer and they are still plentiful. Granita is an easy frozen dessert that doesn’t require any special equipment – besides a freezer – to make. Red Velvet Cheesecake Brownies are a chocolate dessert that will deliver a generous dose of both chocolate and pink if you use a pink food coloring instead of dark read. They’re chocolate brownies with a tinge of pink that are swirled with a cream cheese topping that makes them both decadent and addictive. And if you need an even easier idea, you can also take your favorite vanilla recipe – something like blondies, sugar cookies or vanilla cupcakes – and turn them pink by adding some pink food coloring in along with the wet ingredients. Pink sugar cookies may look at bit strange at first, but they’re perfect for celebrating Breast Cancer Awareness Month and they’ll taste just as delicious pink as not. Showing support for an important cause by doing something we absolutely love is great, isn’t it? These are great recipes, Nicole! 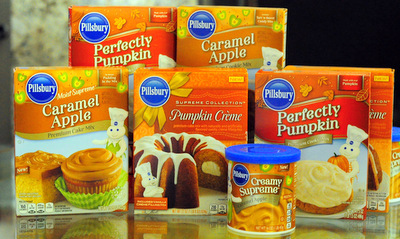 I can’t decide which of these to make first. I particularly love the Cheesecake Brownie and the Lemonade cake. Thanks for sharing these! You are very creative on creating the cakes! really love to try all the recipes! 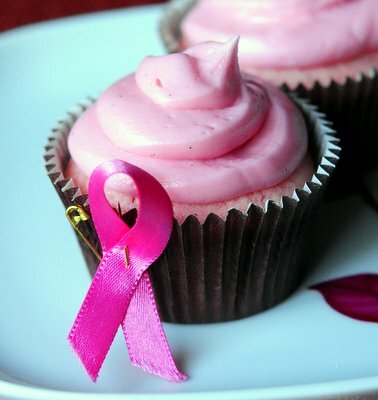 also I’m so amazed that these days there is still someone that really care about other people and support the awareness of cancer, while people just showing their support to the awareness by wearing pink tees, but you make it different, by baking pink cakes, i think with your way people more get creative and excited on welcoming the breast cancer awareness. beside, I really like your Pink Lemonade Cupcakes, even its lemonade and we usually will be thinking yellow and brown as the colours, but you dyed it into pink, but the taste still lemon and as well as the pink frosting flavour! thank you for sharing these recipes and awareness!! definitely worth to try!